Join the 1500 companies using G2 Track to manage SaaS spend, usage, contracts & compliance. HotPads.com is a map-based housing marketplace, allowing people to find their next place to live by location. Shoppers can search for rental homes, apartments, and homes for sale, and can view full descriptions, unlimited pictures, and get into direct contact with each housing provider. We can help you find the solution that fits you best. What do you like best? This is a great website for maybe getting your name out there. But thats about it. It has a great interface for clients and lot of information. It's very overcrowded. You are one of 1000's of agents featured on the website. And you often get questions from people who arent really looking for an agent but just wanting to get free advice. If you have a limited budget for marketing make sure this is what you want to spend it on. What business problems are you solving with the product? What benefits have you realized? Its great to get your name out there and to have a really nice looking website to give to people. Also if you actually do get clients from it. Its a real nice way to have clients give you reviews on your service. "Easy to Navigate for Rentals"
The easy to use features. 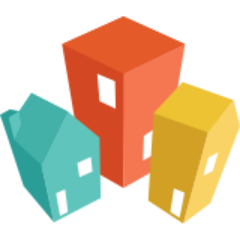 This website allows my transferees to search for properties that are available in their area. They allow you to search for rentals and home purchase separately which is nice so you get only what you are looking for at one time. Very simple and straightforward and I never feel like I have any questions regarding my search. Doesn't allow you to search by area (county, state etc) which would be helpful to use because if they're not familiar with the area, they may not know which city/town they would like to be in yet. Not too many search results come back for each city/state. I'm sure there is more available than what it can find, so I would just double check on this to make sure that you are getting the full scope. Use a variety of websites to make sure your search covers all the bases. Some properties will only list on certain websites. That's why we provide our transferees different websites so it gives them a good idea of what's available. Some of my transferees are only receiving a lump sum and we provide them with different rental websites to search for new places in their new location. This gives them different options and allows them to save their money on a realtor and do the searching themselves. I see that it creates a sense of independence with my transferees because they don't get benefits of a realtor assisting them so we try to get them all the possible solutions we can. What Multiple Listing Service (MLS) Listing solution do you use? "It's alright, but likely wouldn't be my first choice"
Being able to add and delete floor plans is very easy, as well us uploading and managing pictures. The only dislike I would have is that we don't get a whole lot of leads. We log in through hotpads to update our Zillow listings, and get very few leads from there. I think if you become familiar with hotpads, it can be easy to use, but you'll have to spend some time on it I think in order for it to be user friendly and for it to be beneficial for your company! Trying to get units on the market rented in a timely manner! I loved user interface of hotpads. It was one of my favorite websites to use and was actually pretty fun to play on. Using the map view was ideal for me when searching. Have not found a website that I liked the UI more than Hotpads. It was the best out there. Not sure if every opportunity was out there. I do remember somethings thinking that it's database was not as complete as a couple of the other ones. That might have changed recently though. This migt have changed, but more listings on the site might be helpful. I felt like there was a gap between hotpads and someother listing sites. FInding properties in desired locations. "It is easy to find the property in the map." Map features help to find out which house is available in the area. Some agent/landlord doesn't have a contact information. So it is hard to reach some people. I like to use HotPad because it gives me better idea where all available house is located. It is easy to use and find the house the area where I am looking for it. It is easy to identify an available house location because of the map feature. "Easy to navigate software for advertising rentals "
Attractive website to post our listings and generate traffic for rental properties. Has great features like map navigation and pulling relevant information into listings, like nearby schools. If you're listing properties in metro-Detroit, you'll need to use more than just this one platform. Best to use a syndicate. If you are a tenant, landlord or real estate professional I find this site useful for all your renting needs. A great resource. Flipping between searches could be made easier. Easier to find information on the site. If you have rental properties it is becoming the name you think of when renting so it’s a must to add to your marketing portfolio. Hot pads increases my pool of renters. "Property manager for 5 years"
I do get quite a lot of traffic sent to me from Hotpads. It seems to be a prolific and trusted source on the internet to find a place. Nothing! I will say that I use a website to generate all of my listings that pushes them forward to individual sites- so I am not familiar with posting on Hotpads- so I can not comment on ease of use . It gets my listings out in front of a wide audience of people! I do generate a lot of leads through it. Site is super easy to navigate. It is very simple and old school. Site has a dated look and feel to it, which I find to be disappointing. Site should be revamped to have a hipper feel. marketing issues. This site helps increase our property interest in all areas of town. I used HotPads when I was an assistant to a real estate professional. Simple to use - adds a legitimacy you might not find elsewhere on the web. Not the easiest interface but I honestly don't have any complaints. Learn to use the tracking features. If you aren't sure that you're utilizing the technology to it's fullest extent, call a representative and have them walk you through it. Allows you to reach prospects you may not have access to. I love the interface. It is so simple to use, easy to understand, and I can complete all my tasks in a quick manner. There really is nothing that I dislike about it. I recommend using this to generate more attention for your listingd! I am able to market properties in a more efficient manner, to a wider crowd. "great exposure for Rentals "
It's easy to navigate even for non tech savvy folks. * We monitor all HotPads reviews to prevent fraudulent reviews and keep review quality high. We do not post reviews by company employees or direct competitors. Validated reviews require the user to submit a screenshot of the product containing their user ID, in order to verify a user is an actual user of the product. Hi there! Are you looking to implement a solution like HotPads?